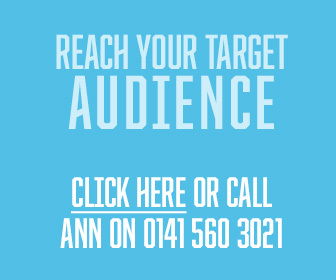 In the last four years since James Watson established his dental lab in the north of Glasgow, he has seen the number of dentists using his services double… and now he employees three drivers to deliver dentures, chromes and orthodontics appliances across the city and beyond. 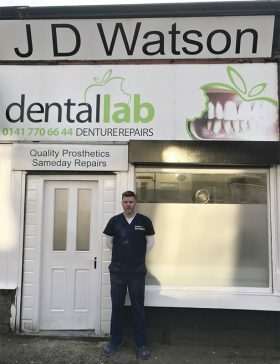 After 16 years gaining valuable experience working for various dental labs around Scotland, James decided to set up JD Watson Dental Laboratory when his former employer at Henry Hall Dental Laboratory, based in Riddrie, decided to retire. James bought over the company in November 2015 and has built up a business with a reputation for high-quality work and personal service. James worked his way up through the profession after joining a dental lab when he left school. His first job was as a ‘plaster boy’, making moulds, and over the past 16 years has build up experience in all aspects of dental laboratory work, both with large and small dental laboratories. 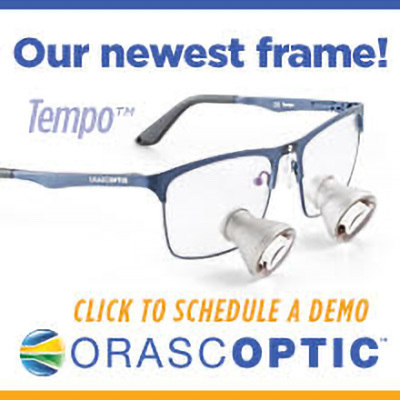 He said: “I’ve worked in a number of different large labs and I have found their main focus is on the high-end, high-tech dental technology for implants, and I always thought that the denture departments don’t get enough attention. James believes that his team’s attention to detail and focus on quality gives his dentists the extra service they are looking for to both meet their patient’s needs and to work more efficiently in their clinics. He said: “We check every dental impression that comes in, so if there is one that is short we will not do any work on it until we get a full-depth impression. 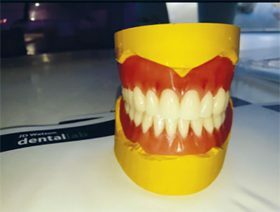 Our dentures are always fitted carefully to the models so the dentist does not waste surgery time trying to trim new dentures to their patient’s mouth, and we also create ‘suction chambers’ on some of our dentures to aid retention in the mouth. We create an air pocket in the model before we finish the denture, which traps air between the top surface of the denture and the mouth pallet helps to hold it in place – I’ve not seen any of the big labs offer this technique. James prides himself on his attention to quality, not only in training and passing on his experience to his team but also ensuring that every item that leaves his lab is top quality. James is also looking to expand his services by employing a crown and bridge specialist to complement his existing offer, which includes quality prosthetics, chrome and cobalt, expert restorations and orthodontics appliances.